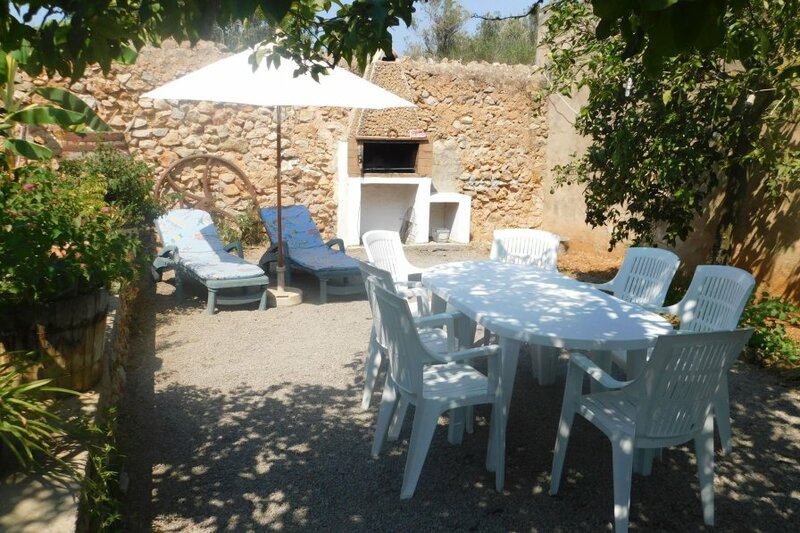 This quietly located finca just 2 km before San Miguel and 5 km after the lovely village of Santa Gertrudis with its many restaurants, still has the old Ibiza atmosphere. At the famous restaurant Aubergine you follow the sandy path 1 km and you are already at the finca.Je runs through a beautiful garden full of flowers and trees. Covered terraces so you always have a cool spot in the hot summer months. Masonry barbecue with dining table next to the zwembad.Op the terrace for the finca is an outdoor bathroomThe kitchen has a large utility room where the washing machine and plenty of space for the groceries. The San Miguel beach is 3 km away. Very suitable for families with children. A trampoline in the garden for the little ones.